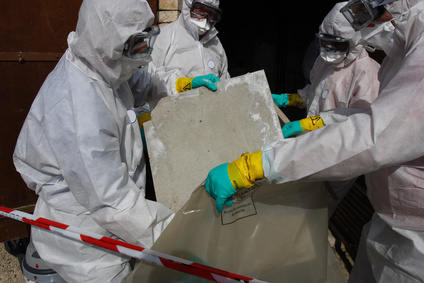 It is a requirement for workers exposed to asbestos on a regular basis that they be trained in the identification and handling of items that do or potentially contain asbestos. 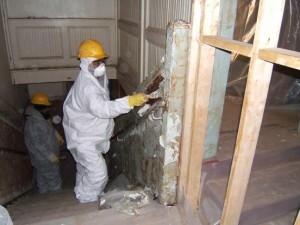 With the proper training workers can avoid these hazards and minimize the risks involved in dealing with asbestos. Beyond identifying potential hazards workers should be trained on creating a plan and following the proper procedures to remove hazards without putting anyone’s health at risk. We offer a number of courses that workers to handle asbestos on different levels of managements, from the worker level all the way up to the supervisor role. It is critical that workers on all levels of asbestos management are properly trained in their respective roles to keep everyone safe from exposure to this hazard. Without the right training many things could go wrong and the health and lives of workers could ultimately be at stake. It is a requirement for employers to keep their employees trained and certifications up to date to avoid on-the-job injury, illness or even death. It’s not a risk worth taking. As times continue to change, so does the way in which training is provided. 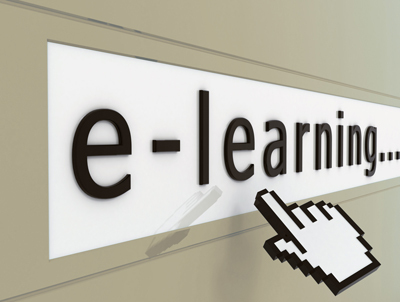 Although there is no substitute for hands on training with a live, qualified instructor, the ease and convenience of online training is definitely pushing many in the safety training industry in that direction, and Global Environmental Network is no exception to the rule. Although GENI would suggest taking an in person course before resorting to online, they have begun providing online courses with more to go live in the near future. It is coming up on the 5 year anniversary of the Lead Renovation, Repair and Paint regulation requiring certification, and 5 years is how long that lasts before workers need a refresher course to stay in compliance. With that in mind there are expected to be huge numbers of workers needing the Lead RRP Refresher course in the near future, and to accommodate such numbers they are offering the course online in the near future. Although the class will be provided online it is still an EPA approved course that will fulfill the training requirements for those working with lead based paint in renovation. These workers will be able to get there refresher training online, on their time. In case you were wondering the training deadline for the Globally Harmonized System of labeling has already passed. In fact it passed nearly 2 months ago. According to new regulations all workers dealing with hazardous chemicals needed to be trained on the new system of labeling by December 5, 2014. If you or your workers fall into this category and have not received the proper training then you are currently not in compliance. 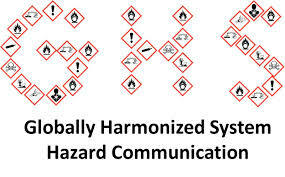 This new system of labeling has been accepted by the international community and is being implemented across the globe to put everyone on the same page when it comes to labeling of hazardous materials. If you have not been properly trained to understand this new labeling system, don’t worry because it doesn’t take much to fulfill your training requirements and keep you within compliance. In fact the most convenient way to receive this training is online and fortunately Global Environmental Network Inc. offers this course for a small fee online, equipped with all the course material you need to understand the GHS labeling system. Don’t wait any longer, your time is up, get the training you need today. 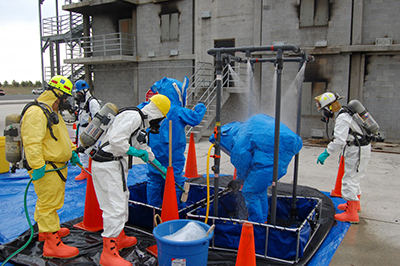 HAZWOPER training is one of the most important elements in the safety training catalog because the skills and knowledge to identify and respond to hazardous chemicals could ultimately have someone’s life weighing in the balance. Surprisingly, many people are unaware what the term HAZWOPER even means, but it stands for Hazardous Waste Operations and Emergency Response. This name encompasses many vital responsibilities that could prove to be critical in emergency situations. It is important that fire fighters and emergency response personnel have gone through at least the awareness level of HAZWOPER training because you never know when a hazardous emergency could arise. It is not only critical that emergency response and fire fighters know how to identify potential hazards but have the ability to create solutions to these emergency situations. It is especially important, and required by law, that individuals working with or near hazardous chemicals on a regular basis be given the training to handle such possible emergency situations without a hitch. When you’re talking about life or death situations it is imperative that personnel have the training they need to complete their job responsibilities without sacrificing their safety, health or their life. Certified Erosion, Sediment and Stormwater Inspectors (also known as a CESSWI) have proven evidence of qualifications in inspecting erosion, sediment and stormwater BMP( best management practices). These inspections are done under the NPDES Phase II jurisdiction. CESSWI certification is available to those who have both field experience as well as educational training. The application process requires vigorous professional development requirements including previous experiences in inspection, references and relevance to your current profession. After you have completed all the parameters required by EnviroCert (the company that handles the certification), you are eligible to apply to take the exam. Becoming a CESSWI is highly beneficial to the registrant, demonstrating the proficiency in performing inspections in the erosion, sediment and stormwater field. This satisfies the requirements in most local and state governments. It is a great resume builder, assures professionalism, as well as promotes ethical and environmental stewardship. It is crucial that prior to scheduling an exam, the application process is complete and paid in full to EnviroCert 45 days prior to the exam date. Please note that EnviroCert has a $200 dollar application fee aside from the exam costs from the administering company such as Global Environmental Network. Students are allowed up to 2 re-tests at a fee of $75 per re-test in the case of failure of the exam. Global Environmental Network provides the service of proctoring the exam for valid applicants of the CESSWI. We also provide a test review the day before the exam to guarantee better results for applicants. For more information, visit www.safetygeni.com or for application inquiries, visit www.CESSWI.org. It’s been many years since the discovery of lead hazards in homes and buildings due to the use of lead-based paints in the past, but being trained on working in these environments and monitoring exposure is just as important as it was back then. Many older homes and buildings are still being remodeled on a regular bases and over exposure to lead can lead to serious health risks that could severely shorten the life of a worker if precautions are not taken and exposure is not monitored. OSHA has standards and regulations in place to protect the health and safety of workers dealing with these potentially hazardous environments. It is critically important that employees are trained on these regulations and given the tools and knowledge necessary to fulfill job responsibilities without putting their health and lives at risk. If you are involved in the painting, renovation and repair it’s important to be trained and the people you work with are trained to deal with lead safely.